Our most recent venture is in form of a multipurpose high quality shopping mall with food court, cinemas and retail outlets, at Packages’ site in Lahore. We have brought world-class concepts, unparalleled technology, and international brands to Pakistan. 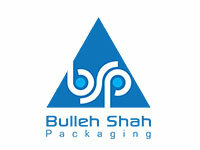 Leading market supplier of corrugated packaging, with the largest renewable packaging facility and the only liquid packaging board facility in Pakistan. A joint venture between Mitsubishi Corporation of Japan and Packages limited, Tri-pack focuses on providing customers with dependable, economical and quality films, complemented by strong customer services. 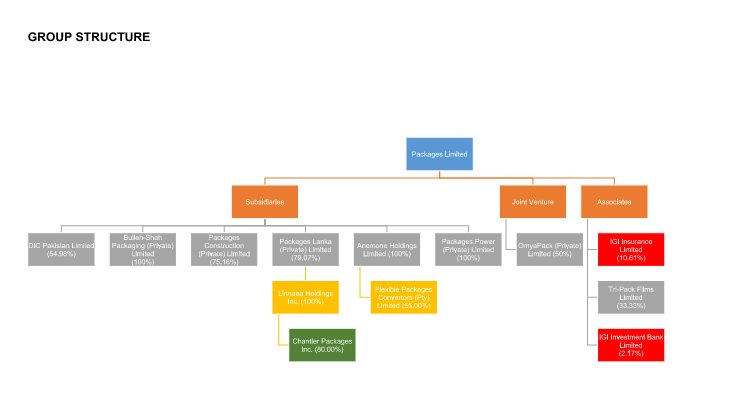 IGI Holdings Limited (formerly IGI Insurance & IGI Investment Bank). Considering Market Capitalization, It is the largest insurance company in Pakistan. Headquartered in Karachi, IGI offers various insurance services such as Fire, Motor, Marine, Travel, Health Personal Accident and Home Insurance. Omya provides versatile product solutions that contribute to multiple industries such as Construction, Printing & Writing, Packaging, Food, Personal & Home Care, Pharmaceuticals, Agriculture and Forestry, Water and Energy. Specialized print and packaging operations, offering films, shrink films, shrouds, sheeting, fill and seal films, plastic and wicketed bags, and tubing products. FPC serves customers throughout Africa. 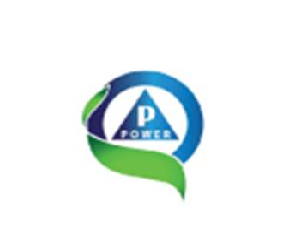 Packages Power (Private) Limited is a wholly owned subsidiary of Packages Limited formed for the purpose of setting up a 3.1 MW hydropower project as advertised by the Punjab Power Development Board (PPDB). The Company has moved forward with the requisite studies and approvals and is in liaison with the relevant Government authorities to take the project forward.